The war between iPhone and Android has many versions: from the most highly sophisticated business battle, to fun gatherings that have already taken place in various cities, where two teams are organised (one iPhone, the other Android, of course) and may the better side win; bearing in mind that the combat is fought with water pistols. However, I don’t want to get my feet wet. Without letting on which system I prefer, I feel it’s appropriate to use this space to disseminate the most interesting new features, be they for iPhone or Android. And, as it turns out, the application I wish to share today comes from Apple. 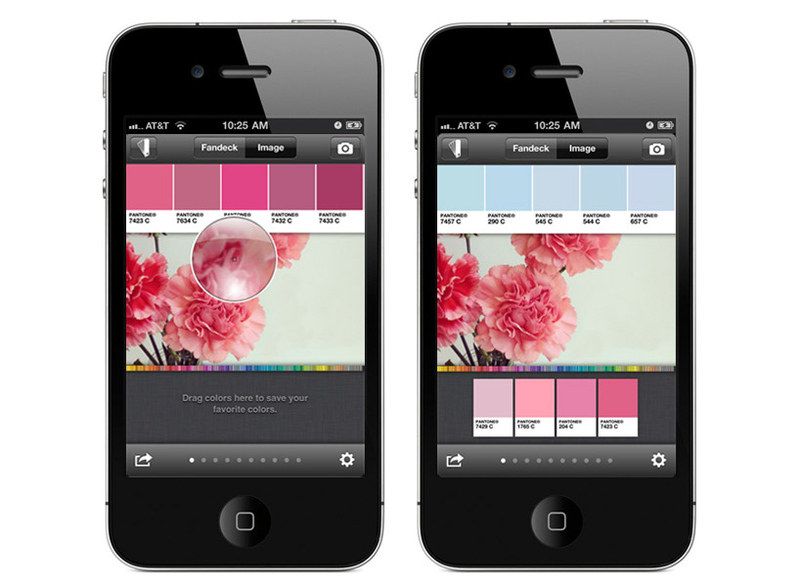 To be specific, the new version 2.2.0 of MyPantone for iPhone and iPad, that includes 336 new colours from the PANTONE MATCHING SYSTEM for glossy coated paper and non-coated paper, alongside the Pantone Plus Series, Goe and Fashion + Home guides. I am sure you have been aware of the application for some time, as it’s a reference point for designers, but the fact that you can use a Pantone on your mobile or tablet anywhere, and furthermore, that it is improved, is news. You can make colour palettes and share them instantly with friends or clients. If you have just taken a photograph and decide you would like to extract a Pantone colour palette based on that landscape that has been captured so perfectly, you can do so. If you want to see a range of colours in harmony based on a colour, you can do that too. In order to calibrate colours so they remain exactly as you see them on the screen, you can use the PANTONE/X-Rite device. And, in short, you can do lots of things. If it weren’t too cheesy an expression I might say you could even sing a rainbow (paying the 7.99€ that the application costs that is). However, I advise you to read the information on their website. And to prove I don’t want to take sides in the war between iPhone and Android (because my war is a water pistol kind of war), I owe you all a post dedicated to Android. I promise.